Throw away your new hire checklist. 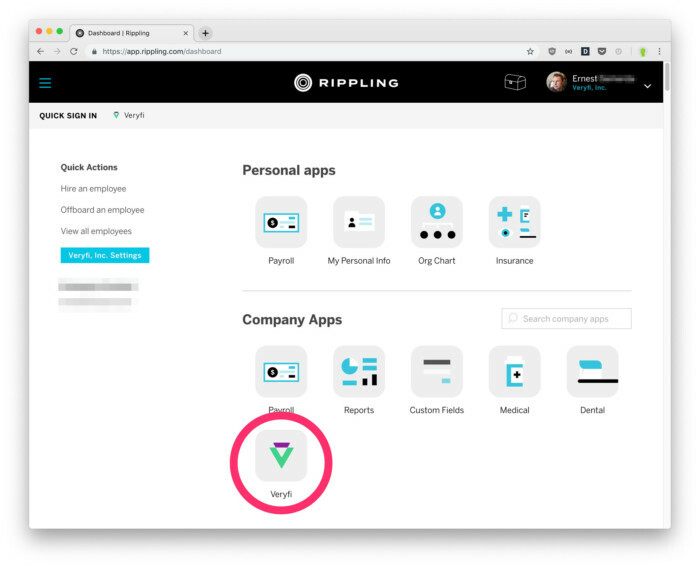 Rippling automatically does the 100 little things that IT, HR, Facilities, Legal, Finance, and employees have to do when joining, working at, or leaving a company. From on-boarding new employees to running payroll. There is a a button to hire someone … and one to offboard as well. It couldn’t get easier and faster. 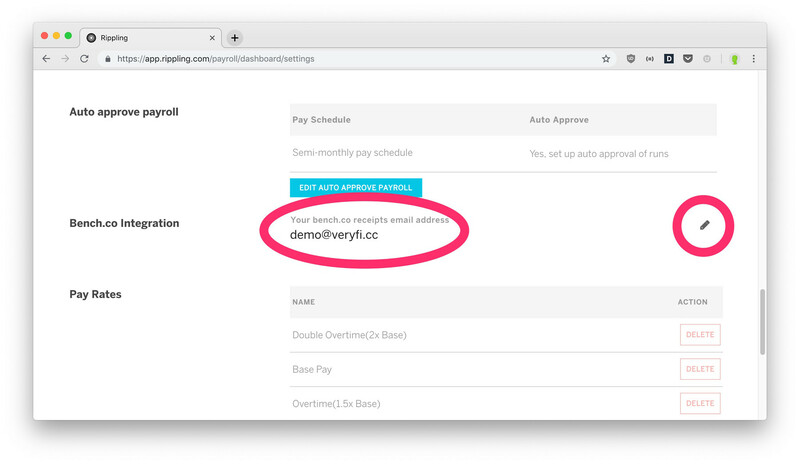 And now Veryfi integrates with Rippling to provide your business with a powerful Payroll tool to streamline recording of your business’s largest expense, wages. How to automatically send Rippling Payroll reports to Veryfi for workflow tax automation. Integrating Veryfi with Rippling will give you the power of Payroll for $0. Yes it’s that easy. This integration also allows you to seemingly move between Rippling and Veryfi hub (web portal) without interruptions and a single login. Bonus! Ok let’s get started. Go to https://app.rippling.com/apps/PLATFORM/IQBOXY and follow on screen instruction to activate the Veryfi plugin. Follow through with the setup process. It should take no more than 30 seconds and then you are done. Veryfi will show up in your “Installed” apps (as shown below). Veryfi is your system-of-record for all your business financial documents. And as such you will want to also collect your largest expense, wages. (b) Maker sure you know your ______@veryfi.cc email address for bill & receipt fetching. For now just ignore the label on this field or any other reference to Bench.co integration. It will be Veryfi Integration when you are done. Psst… Support for Gusto & ADP Payroll is coming!